Rumours of an impending Titanfall beta release on the PC and Xbox One have been confirmed by Respawn Entertainment CEO Vince Zampella in a tweet, with French site Xboxygen's retail source saying that it will run from the 14th through to the 19th of February. The highly anticipated game is due to be released 11th March only for PC, Xbox One and Xbox 360, as Microsoft has secured the exclusive rights to the first game. 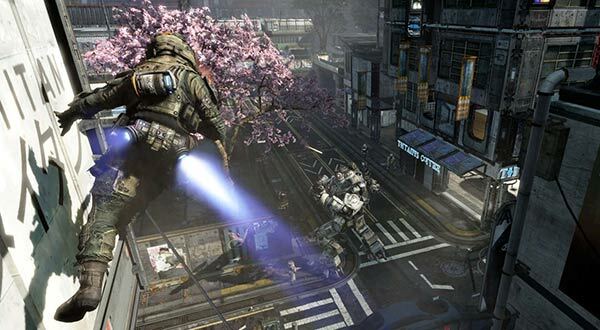 Whilst Respawn is responsible for the PC and Xbox One version, the Xbox 360 version of the game will be outsourced to Texan developer Bluepoint Games. Access to the Titanfall beta will apparently be restricted to players who have already pre-ordered the game from participating retailers, which include GameStop in the US and Micromania in France. However, no information has been made public as to how players would sign up for the beta. Titanfall community manager, Mathew Everett, also warned gamers on Twitter, "We have not announced further details for the Titanfall beta at this time. DO NOT SIGN-UP at random sites claiming to be the official Beta. "But with the launch date coming up in two weeks, we are pretty sure more information will follow shortly. An alpha version of the game was also released to some Xbox One owners earlier this month. The trials are distributed in order for Respawn to capture a clearer picture of how the game may function at launch. Following nearly every online multiplayer game having difficulties with connectivity problems at their launch recently, it is probably in Respawn's best interest to test the game ahead of time, although this does not necessarily promise a problem-free launch. The game will be an important release for Microsoft as it may be the key to close the gap with competitor Sony's PS4, as Xbox One is currently around a million units behind. VR Zone reports that the standard version of Titanfall will be sold at $59.99 (£36) and a Titanfall-themed controller for the Xbox One will also be made available at that time. Respawn has tweeted that pre-orders are not required to access the beta. Thought it was a pre-order only beta, looks like I was wrong. Woo! That looks like one awesome game, hope it plays as good as it looks.